AS much as Alaska values the talent and past contributions of Rob Dozier to the franchise, coach Alex Compton feels the need to bring in a temporary replacement as the import recovers from the plantar fasciitis injury in his right foot suffered just a week ago. Team insiders said the Aces are set to parade D-League veteran Shane Edwards when they play Tropang TNT on Wednesday in the PBA Commissioner’s Cup. Dozier suited up for the Aces in its debut game against Blackwater last week, but didn’t play in the 107-101 loss. It turned out the former Best Import awardee suffered the injury just four days before Alaska played its first game in the mid-season tournament. The prospect of losing a second straight game without an import would be too much for the Aces, and so the need to tap a new reinforcement. “I love Rob, and so does the team. But we do need to get an alternate import as he (Dozier) recovers from his injury,” said Compton Monday night during the weekly training session of Gilas Pilipinas at the Moro Lorenzo gym. The Alaska coach though refused to name the team’s prospect other than saying he’ll be practicing with the team by Tuesday. 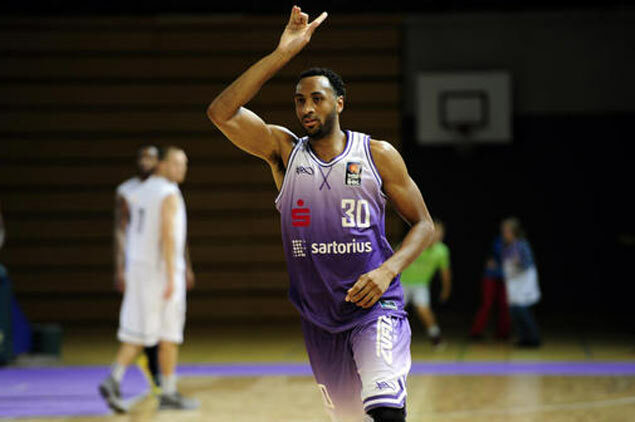 Edwards, 28, is coming off a stint with BG Gottingen in the Basketball Bundesliga, where he averaged 11.7 points per game. He was left undrafted during the 2009 NBA draft and spent his pro career playing both in the D-League and in overseas. A highlight of his career came when he played for the West Team during the 2011 NBA D-League All-Star game.